Red CentreNATS is an automotive lifestyle festival celebrating all things wheels. Street machines, elite show cars, hobby vehicles and more take over the streets of Alice Springs for three days of intense competition including drag racing, show ‘n’ shine and street cruising. 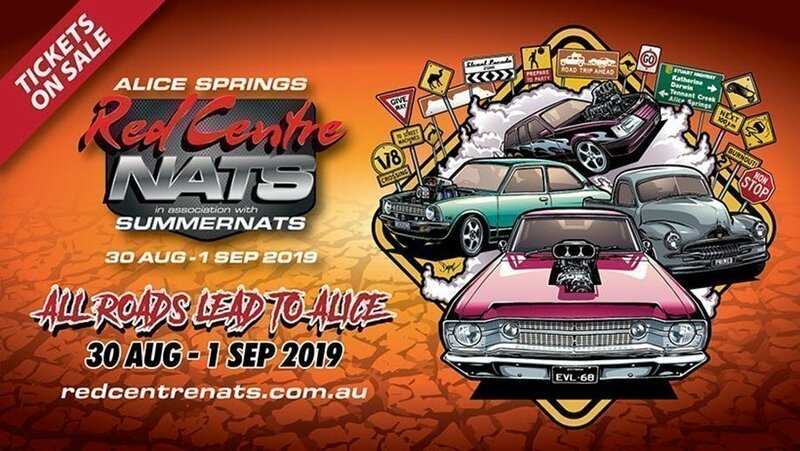 Held across three venues, Alice Springs Inland Dragway, Blatherskite Park and Lasseters Centre of Entertainment, the 2019 Red CentreNATS event is sure to be the best yet, culminating with a concert at Blatherskite Park on Sunday 1 September 2019. Red CentreNATS is a licensed, all ages event. Don’t miss out and buy your tickets now. General Admission tickets start from $30, with a Chrome Pass enabling entry to all three days for only $50. For more information visit our website or facebook. Kickstart your Red CentreNATS weekend with the most outrageous, exciting and tyre shredding action at Alice Springs Inland Dragway Burnout Pad. Check out the smoke storm of the Burnout Championship, as well as the Burnout Masters, in an awesome show of smoke and rubber. Access Blatherskite Park and Alice Springs Inland Dragway from 9am. Immerse yourself in the Shannons Show N Shine, Diggamen Dyno Cell, Thrifty Grass Driving, Great Northern 4WD course and check out the incredible array of cars as they form up for the Yeperenye Shopping Centre Street Parade departing from Blatherskite Park. Then get ready to rumble for the Heavy Hitters Drag Racing Championship under lights at ASID! Access all venues for a Fathers Day done right! Check out the Shannons Show N Shine, Diggamen Dyno Cell, Thrifty Grass Driving, Great Northern 4WD course or follow the Grand Champion pathway. Cruise over to Lasseters Motorkhana before heading to the Drags and Burnout Masters. Make your way back to Blatherskite Park in the evening for the Podium Party and Sun 969 Rock N Rumble Concert. Awesome! Children 13 and under do not require a ticket when accompanied by a parent or guardian holding a ticket. Children have free access to Blatherskite Park and Alice Springs Inland Dragway and are more than welcome to attend the Podium Party and Rock N Rumble Concert. Immerse yourself in everything Red CentreNATS with a great value three-day pass that includes access to all venues throughout the entire event. Start the weekend off at Alice Springs Inland Dragway for Friday night’s Burnout Championship, as well as the Burnout Masters. You’ll also get all day access to both Blatherskite Park, Alice Springs Inland Dragway and Lasseters Motorkhana for events including Shannons Show N Shine, Grass Driving, Great Northern 4WD course, Dyno Cell and the Street Parade. Make your way back to Blatherskite Park in the evening for The Sun 969 Rock N Rumble concert to wrap up an awesome weekend! - Valid tickets are only guaranteed when purchased direct from the official ticketing provider Ticketebo. Do not purchase tickets from unknown parties - they may not be legitimate. If you buy a “Print at home ticket” from someone else (e.g. a scalper), you have no guarantee that they have not printed multiple copies of that ticket and are selling them to others. If an ownership issue arises, you will be required to produce photo ID and the credit card used to make the booking to confirm your identity. In this respect, you should only purchase a print at home ticket if you are planning to personally attend the event. - Tickets sold are non-refundable but are transferable to other people. - Selling tickets above face value is against the Ticketing Terms and Conditions. - Northern Territory Major Events Company has the ability to identify the original purchaser of tickets. 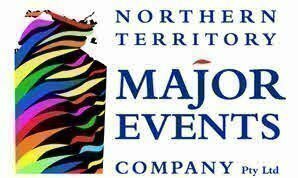 Northern Territory Major Events Company reserves the right to void tickets in instances where the Ticketing Terms & Conditions have been breached.